A delicious assortment of the best e-juice delivered monthly. Get up to 11 bottles and up to 180mL of the best e-juice from just $24.99 per month. Of the hundreds of brands that apply to be in ZampleBox, only 3% make it through the screening process. With ZampleBox, you only receive the best vape liquid. Receive $10 ZBucks with your purchase. Use this link to get the deal. 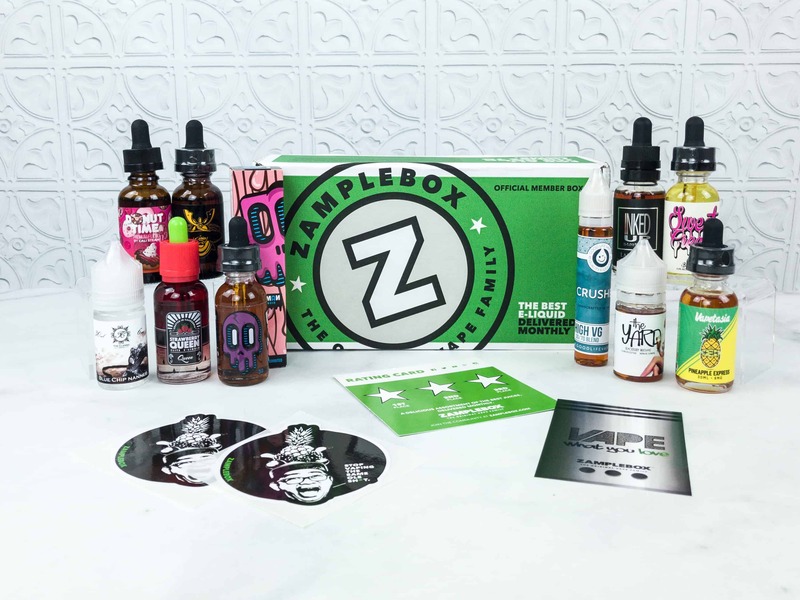 Zamplebox E-Juice March 2019 Subscription Box Review + Coupon! 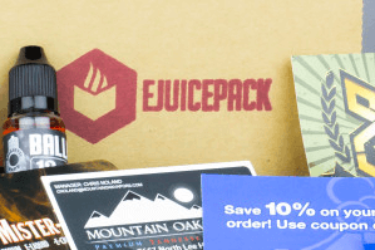 Zamplebox E-Juice February 2019 Subscription Box Review + Coupon! 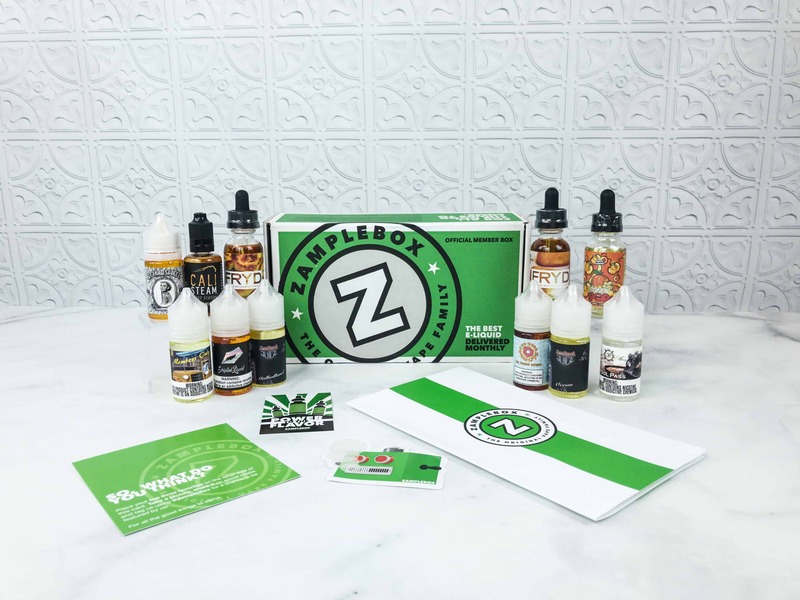 Zamplebox E-Juice January 2019 Subscription Box Review + Coupon! 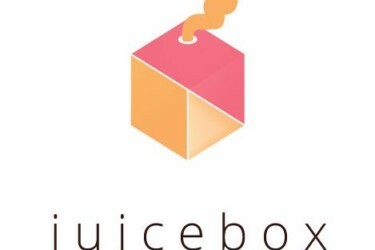 Zamplebox E-Juice December 2018 Subscription Box Review + Coupon! Zamplebox E-Juice November 2018 Subscription Box Review + Coupon! Zamplebox E-Juice October 2018 Subscription Box Review + Coupon! Zamplebox E-Juice September 2018 Subscription Box Review + Coupon! Zamplebox E-Juice August 2018 Subscription Box Review + Coupon! Zamplebox E-Juice July 2018 Subscription Box Review + Coupon! 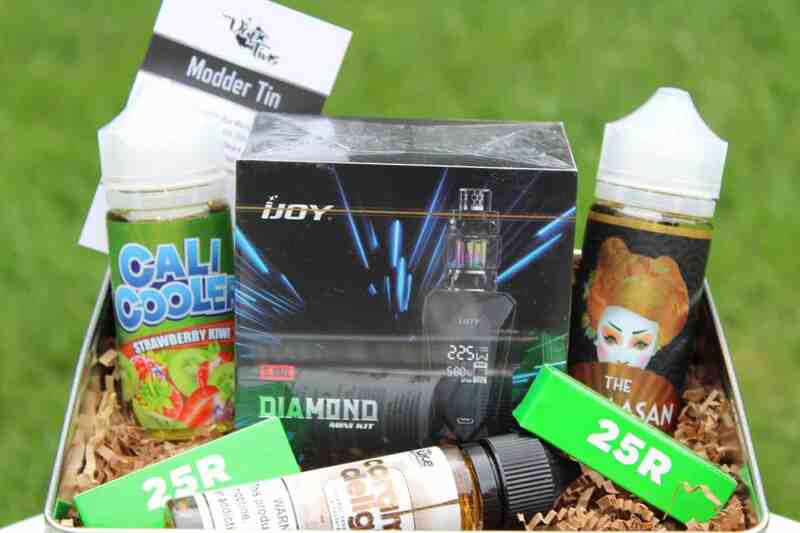 Zamplebox E-Juice June 2018 Subscription Box Review + Coupon! Zamplebox E-Juice May 2018 Subscription Box Review + Coupon! Zamplebox E-Juice April 2018 Subscription Box Review + Coupon! Zamplebox E-Juice March 2018 Subscription Box Review + Coupon! Zamplebox E-Juice February 2018 Subscription Box Review + Coupon! Zamplebox E-Juice January 2018 Subscription Box Review + Coupon! The price per ml is unbeatable but the quality of juices when I tried them left a lot to be desired. Do you ship in Greece, and if you do, how much more does the shipping fee cost? Thank you. I ran a fake order to checkout and got this message: “ZampleBox can no longer deliver to your area due to regulations. We are as sad as you are.” So no, they don’t ship to Greeze.